I understand how hard it is to plan meals in a foreign country, because girl, I've been there! It was only weeks ago I was browsing furiously through the internet on travel blogs to find personal opinions and reviews regarding the restaurants, coffee places and bars I should visit during my stay. Hence, I thought I should do my part as a blogger to list the places I've visited and the places I recommend. I thought I should even add the genre, "travel & lifestyle" as a part of my blog content. since I’m intending to travel a lot in the coming years so this would come in useful to keep record of my time there. If you are looking for good brunch food without a que, this is a great place. 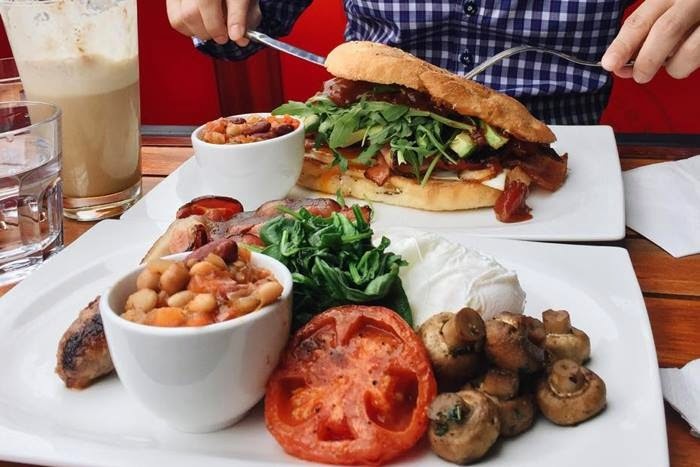 It is about 20 minutes tram ride from the city (which really isn’t a long ride away) and they offer a wide range of breakfast food menu you can enjoy. 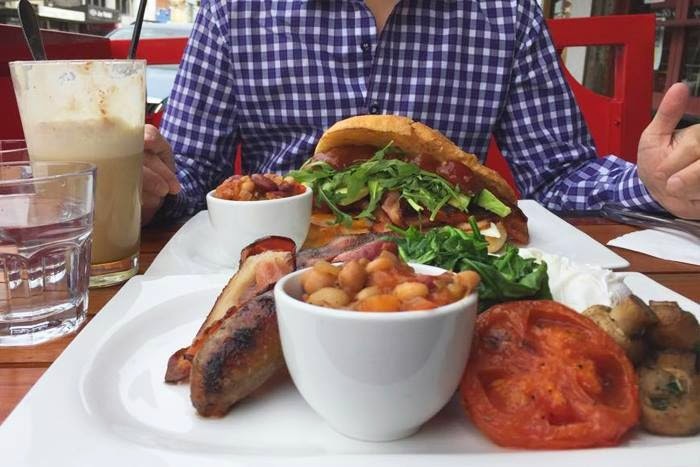 I personally enjoy having bacon strips and sausages for brunch with red beans, hence my only choice was the Farmhouse Big Breakfast which is served with a toasted bread, mushrooms, sausages, bacon strips, spinach, baked tomato and poached eggs. This is one of those places where you’ll see all the Malaysians hanging. On weekends, literally 70 percent of the people in there are Malaysians, which isn’t a bad thing. I guess it is just one of those places that is known by the word of mouth. However, they are not wrong about how good their breakfast is. It is located in an alley way near the city and you should expect a 30-min que during peak hours. 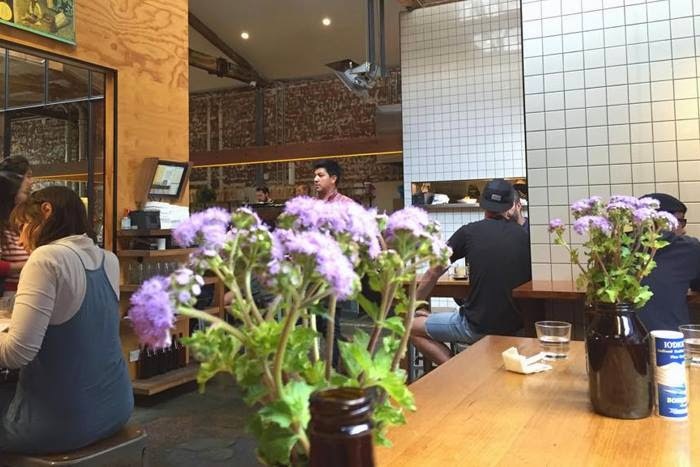 Another Melbourne-Malaysian favourite, Seven Seeds is located a walking distance away from Melbourne University. I’m not sure how did I came about this place, probably another word-of-mouth. I think I was told that they serve really good coffee and being coffee-expert-noobs Leonard and I are, we're not the best person to go to when it comes to “good coffee”. I don’t know how good can a good cup of coffee be or how bad it is. In my defense, I love Starbucks’s Caramel Macchiato but for some reason Starbucks is like a nono for the “coffee junkies” so yeah, I’d rather just step away from the coffee-experts zone. 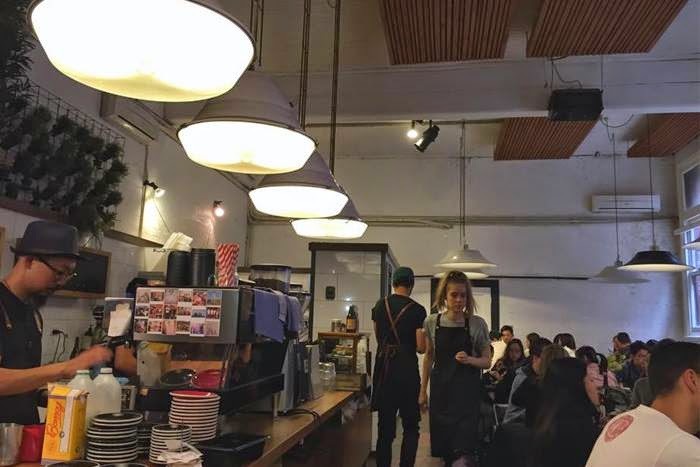 However, if you are a coffee lover, suggest that you pay a visit, and you probably should already know about this place anyway. 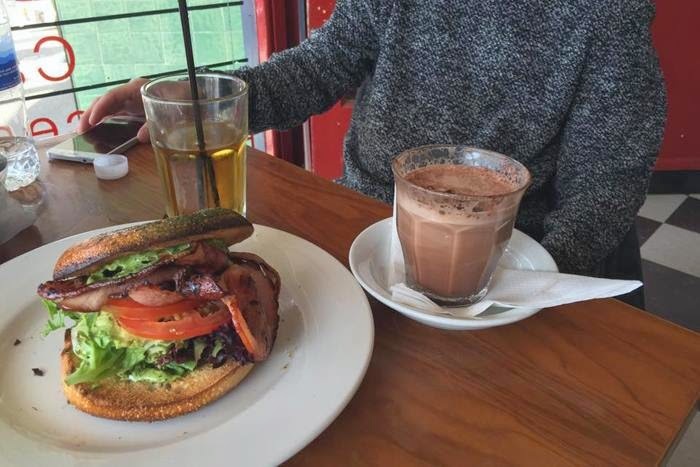 Leonard and I stumbled upon this small little coffee place that also serves breakfast, on the way along the Great Ocean Road towards the 12 Apostles (which is now 8, for your information). After a 2-hour bus ride (or in this case, race car ride), we stopped by the area for lunch and thought of having coffee. The warm and cosy place is located in a beautiful neighbourhood, and they attract mostly tourists who are heading to see the 12 Apostles. 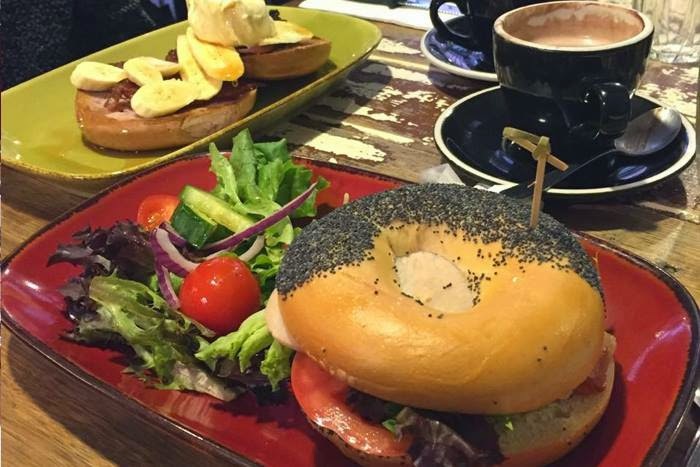 We ordered a bagel which has an acceptable price range and it was awesome, comparable to the mainstream expensive ones in the city. 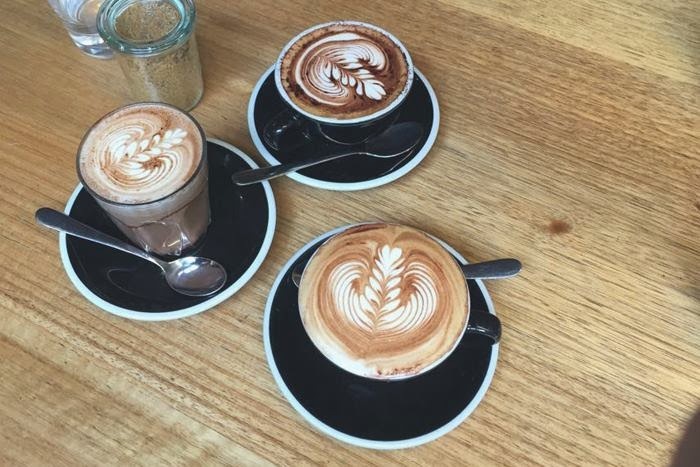 So if you happen to be going along the Great Ocean Road, do stop by the coffee place for a visit. With that, this marks the end of my recommendations! Let me know if you find this useful because I'd love to hear from you. On another note, stay tuned on my Youtube channel where I upload videos regarding my trip, also follow me on Instagram (@eeked) to see timely updates on my "colorful" life.